18 nov Filed under Ghana, Masculinities. Tagged Ghana, gold, migration, mining, youth. Bookmark the permalink. Post a comment. Leave a Trackback (URL). 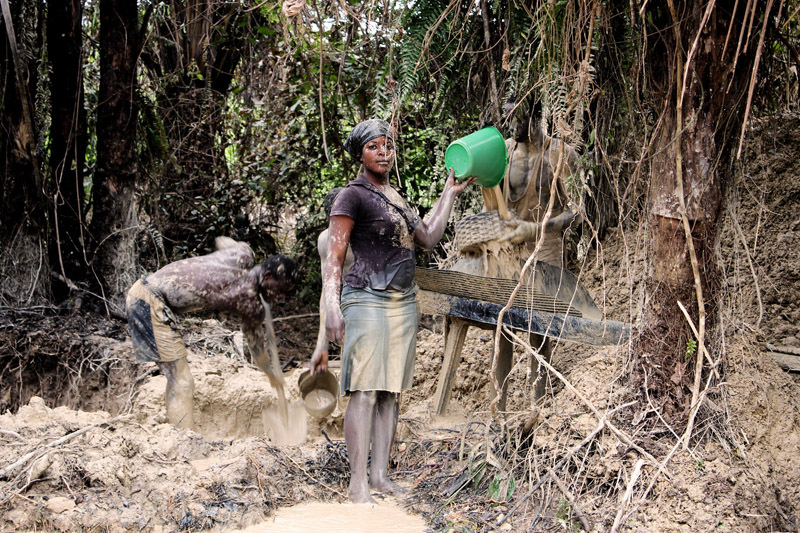 Close to Asankrangwa, in the Western Region of Ghana, young men engage in informal gold mining. It is locally called Galamsey from the English (Gather and Sell). Dangerous job, very tiring one, but compared to others, it pays well and immediately. These young people are migrants from the Northern Region. They form a « gang« , they move from one site to another. They produce 3 to 4 « blades » of gold per day. One « blade », a razor blade, one gram. A local girl joins the gang, she pours the water.